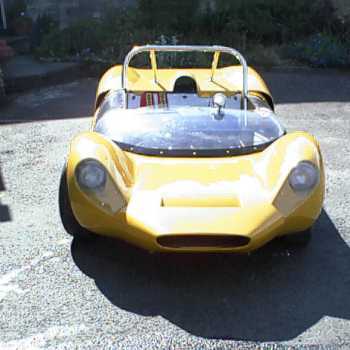 Bob Diggory (Shropshire) is in the process of resurrecting an Imp based mid-engined sports racer, built in 1964 by DR Warwick (ex-Lotus). He bought it in 1999 and finished returning it to its original 60's specification by the end of 2001. Earlier in 2001, it completed five practice laps before overheating and receiving a black flag. DRW produced racing cars from the late fifties to the early seventies, mainly Clubmans, Formula Junior and Formula Ford. In total they built very few cars and only one of each mark. It was raced by the factory (DRW) for 2 seasons and then sold. Thereafter it was used with considerable success for hillclimbs and sprints until the mid eighties. DRW cars, sports cars and racing cars. 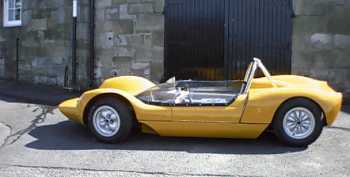 1959 to 1970: ten cars designed and built by Jack Murrell and David R. Warwick, two ex-Lotus racing mechanics.